Optimizing CloudDrive(S) + Drive Pool for Data protection, and efficiency? 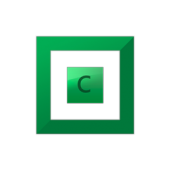 - General - Covecube Inc.
Hey Guys Previously I had set my Cloud Drive to 16TB and CHKDSK took days to complete. My current drive, is the max "default" (not manually entered) value in the GUI of 10TB. I want to prevent a repeat of losing all my data, so I'm being extra careful this time. I have upload verification turned on, and have the drive set to 10TB in-case I have to scan it one day. My question is going forward, what practices would you guys recommend for expansion and redundancy? I have a license to DrivePool also, but was wondering how I would go about optimizing my library? For example, once this drive fills up, should I "Resize" the drive to a larger value, or simply create another Virtual Drive and Pool them together under Drive-Pool? If pooling together Cloud Drives is possible, then how does the distribution of chunks work? Are some chunks written to VHDD 1, and VHDD2, and if so how does that maintain data integrity if some chunks are in one Drive, and some are in another? If the above is not the case, are files assigned chunks and then a drive and balanced in the CloudDrive DrivePool, for example File1.AVI 6GBs, File2.AVI 3GBs, is File 1 broken into chunks then assigned to VHDD1, and FIle2 broken into chunks and assigned to VHDD2, or is it FIle 1 has 50% of its chunks in VHDD1 and 50% of its chunks in VHDD2? Does pooling together CloudDrives Increase/Decrease ---> Download/Upload/IO performance? Do they all contribute to the same upload cap? After all these questions, is there a practical way of creating a virtual pool/raid, that serves as an instant "backup" to your main CloudDrive/CloudDrivePool? Hello Christopher, thank you for the response, but it doesn't answer my question. Due to data loss a few weeks back, I've started over and created a smaller CloudDrive in case I have to use CHKDSK again one day. In addition I have upload-verification enabled to protect against data loss. My issue is that the 10TB drive is about to fill-up, and I wanted to opt against re-sizing the drive to avoid the situation I faced earlier which is 3 DAYS of chkdsk running to diagnose the disk (susceptible to power surge interruptions, and such). Ideally I'm going to be creating another 10TB CloudDrive, but my question is how does pooling work for multiple CloudDrives? Would I create "Pool #1" Pool My "full" 10TB Drive, and NEW 10TB drive with everything targeting the "pooled cloud drive"? In this situation, how does writing to this "pooled" cloud disk work in the distribution of chunks? For example if Drive #1 has 9tb/10TB full, and Drive #2 has 0tb/10TB will it split the chunks between both cloud drives, or will it target one of the two. Considering the above case, does it have an impact on IO/Thread/API Performance? Lastly, if my new "CloudDrive Pool" is my new "main drive", does that mean that CHKDSK is something that would have to be run on the Pool, or the individual drives? So chkdsk is not affected by the size of the *drive*. Only the size of the *volume* (aka, generally, partition). You can have multiple volumes on the SAME CloudDrive drive. So you can still expand the size the drive and create a second VOLUME smaller than 55TB or so, and chkdsk will work with it just fine. I would, in fact, recommend this over a second drive entirely, so that you don't have multiple caches. Aside from this note, DrivePool will operate identically regardless of whether or not you're using a volume on a local disk, a CloudDrive disk, or multiple CloudDrive volumes on the same disk. DrivePool does not operate at the block level, so it doesn't concern itself with the chunks. That will all still be handled at the CloudDrive level. You can customize the DrivePool settings to configure the file placement however you want. There is no impact on performance, as DrivePool simply forwards requests to the underlying drives--CloudDrive or otherwise. Chkdsk is a file system tool. So it operates on volumes, not drives. But, to fix issues, you'd use chkdsk on the volumes that underlie your pool.